The Fortuna Police Department has identified the deceased as 50-year-old Steve Sisson and 81-year-old Jerry Sisson. No motive has yet been identified in the case. The Fortuna Police Department is investigating what it believes to be a murder-suicide that claimed the lives of a father and his son. Police were called to a report of two unresponsive males at a home in the 1000 block of Emerald Lane yesterday afternoon and arrived to an 81-year-old Fortuna man and his son, 50, of Hydesville, dead of gunshot wounds. Police believed the son killed his father before turning the gun on himself. Authorities aren't yet releasing names of the deceased. See the full press release from the Fortuna Police Department copied below. 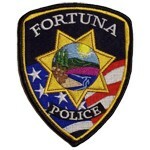 Fortuna, CA - On August 8, 2016 at approximately 2:05 p.m. Fortuna Police Department patrol officers were dispatched to 1000 block of Emerald Lane to investigate a report of two unresponsive subjects located in the garage. When patrol officers arrived at the residence, they made entry to conduct a welfare check on the parties involved. Upon entry into the residence, officers located two adult males on the garage floor who were both deceased from apparent gunshot wounds. An investigation was initiated by the department and preliminary information indicates that the males were father and son. Based on evidence at the scene, the department believes that the son (age 50 of Hydesville) killed his father (age 81 of Fortuna) and then turned the gun on himself.